I keep experimenting with my coupon organization system, and I still don't know yet whether I prefer to be a "clipper" or a "filer". But one thing's for certain: either way I like to have an envelope for each individual store. 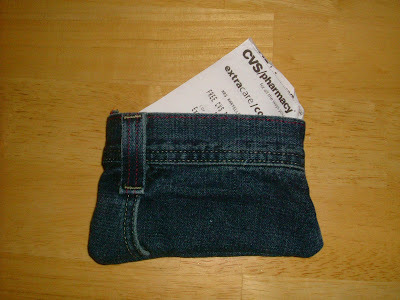 When I get ready to do my shopping, I put the coupons I need for each store into separate envelopes. 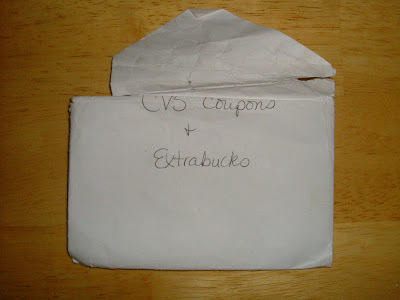 When I get to each store, I only have to take in one envelope instead of hauling in all of my coupons. As you can see, when I used regular old envelopes, they would fall apart. I knew I needed something more sturdy, and I wanted some cute little fabric envelopes. I kept wanting to make some, but I just couldn't find the time to do it. Yesterday I decided that even if I didn't have time to make exactly what I wanted, I was going to get something made. 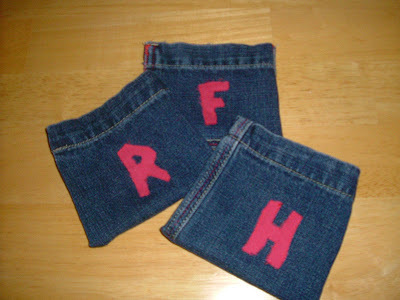 So, one old pair of shorts and a few seams later, I came out with this: I appliqued each store's initial on each pouch so they would be easy to identify. This one accidentally turned out to be cute, so I used it for my most special store: CVS! These aren't anything fancy for sure, but they work for me! 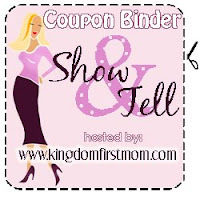 Now I'm on my way to check out the Coupon Binder Show & Tell at Keeping the Kingdom First. Hopefully I can get some good ideas for how I want to organize the rest of my system! ;) You know, you could always come on over to my blog and leave a comment for a chance to win a Coupon Management System. It comes complete with zippered pouches for each store. Those are adoreable, though! Wonder if I could make them for a 3 ring binger. Just kidding. Hey! I just wanted to let you know that I have given you a blog award! Keep Up the great work! Wowie. That is pretty cute! I'm impressed! !